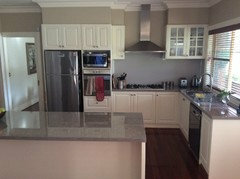 I have just updated my kitchen and just need to finish off the splashback and stools. Not sure if tiles or glass. Any thoughts? 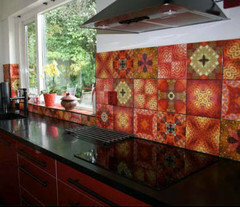 I love tiles..much more character..
not sure how hard to clean these? and I love these too so bright and colourful..
Hmmm just at the same place. I'm thinking glass - smooth finish, easy to clean and won't detract from the rest of your lovely work. I think glass. What kind of stools are you going to be using? Hi Angela70! A subway in white would look great in this space and easy to clean like the one I used on a job a few months ago! Timeless, elegant, works back with pretty much everything. I love mirror also but, can be annoying as it shows every splash from the stove. 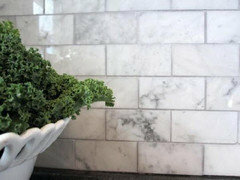 Marble tiles would also be a practical and gorgeous option! 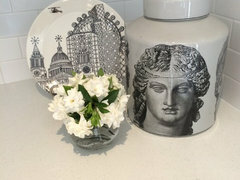 Hi all, I was thinking subway but I think white would make my antique white cupboards look dirty. 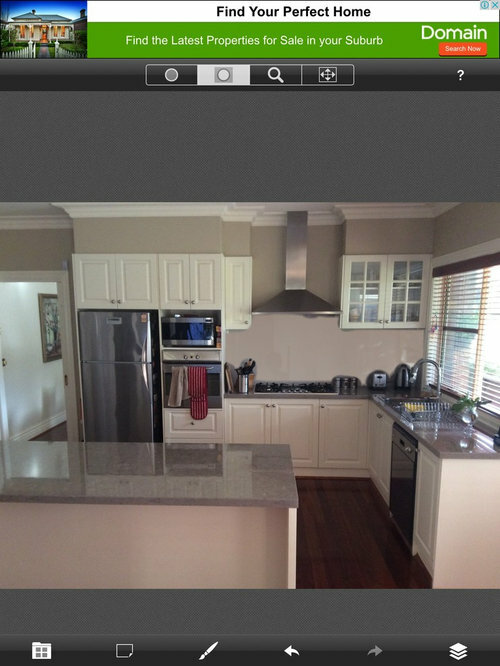 Not sure about green, I updated my bench tops to get rid of greens ones Lol. Maybe a colour similar to the bench?? I think tiles could add to the character of the space. I personally find glass pretty boring and quite overdone these days. at my old place I had black granite tiles that matched my black granite top? was existing when we moved in ..
may be worth pursuing ? 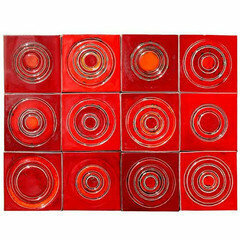 I reckon mirror would look great as a splash back - it's a focal point and will make the space bigger! You could use stainless steel just behind the stove and for the rest of the bench just a narrow strip of the same stone as your bench top . You don't have to cover the whole wall . 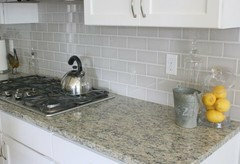 If you prefer an easy clean surface, then tiles are not an ideal option because of the grout lines. 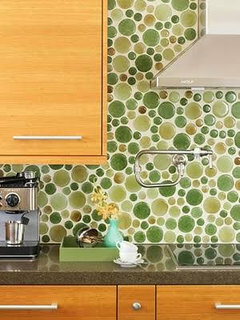 Stone splashbacks are back on trend. 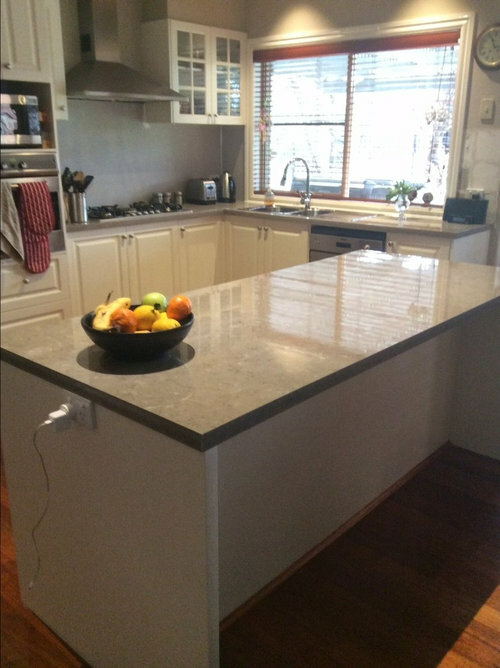 It can be the same stone as the benchtop or a contrasting stone to the benchtop eg. 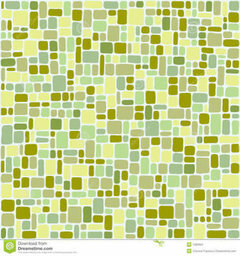 Lighter, darker, more or less pattern. As the surface is a continuous smooth sheet it is easy to clean if it's man-made stone. Natural stone such as marble stains more easily. Choose your splashback then choose your stools. See the link for a matching splashback. 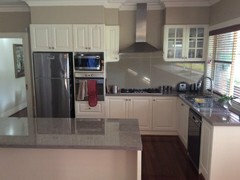 Here is a contrasting stone splashback and benchtop. I love the idea of stone splash back but I didn't suggest it because your bench top is a bit on the darker side , but if you like the idea choose the colour to match your cabinets and it would look great I have it in my kitchen and personally I would never have tiles again. 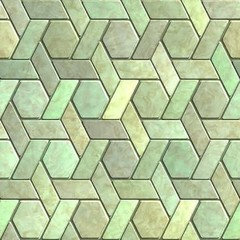 I am even thinking of replacing tiles in the bathroom with a composite stone. 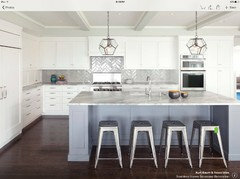 stainless steel is a pain to clean..I'd stay away from it..used to work at KFC..every night we'd have to clean all the doors etc ..hence my bias..
Classic glass or subway tile laid in chevron pattern. 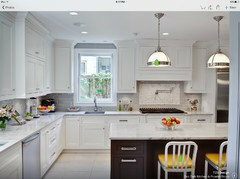 Keep it clean and streamlined, you can add color with accessories since kitchen is small. sounds a bit odd but a MIRROR splash back looks fantastic and makes room look larger. Not hard to clean and you see the space not the mirror. 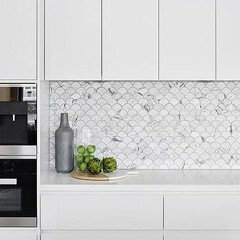 I think a soft grey subway tile would work really well if you like the look of subway but are concerned about matching the white of your cabinets. Marble subway (or even fan shape) would also be gorgeous, if that is in your price range. 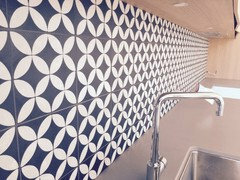 A grey and white cement patterned tile would look great, but probably date quicker. As for stools, I would suggest wood or cane, to warm up the space. My immediate thought was mirror also. I prefer glass from a practical standpoint-it's so easy to clean. And so many colour choices. Just wondering what lighting you have over your island bench? I agree with Michelle. 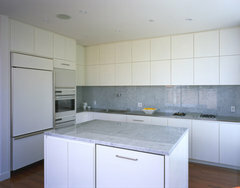 Your kitchen is classic and glass is just too contemporary and frankly boring! Go for a subway, hexagon or fishtail with warmth as well as grey - I think that would work well. Consider a slip cover perhaps that can be thrown in the wash and if an indigo looks even better when it fades a little! toilets strangely enough ). Glass maybe too contemporary but it's so low maintenance & never boring, the colour & pattern choices are endless. Stone is timeless & easy care. It's personal choice really. Trust your instincts, it looks like you've done a great job so far. Would love to see the end result posted here too. Good luck ! We used glass. It is great to live with. Reflects the outside. The color was called "champagne" but it looks like stainless steel sometimes and a mushroom color at others. Absolutely love it! Hi Angela! Love the new kitchen! As you have included french doors in your design we suggest you use either a white subway tile or contrasting marble tile or splash-back to match the aesthetic of your kitchen! Hope that helps, The Schneider Electric Team. Tempured or toughened glass is perfectly safe as a splashback behind a gas cooktop or stove. I don't recommend an acrylic splashback behind any kind of stove or cooktop.